PREORDER. RELEASE DATE OF MAY 1ST 2019. If you order other non-preorder items, your whole order will be held until the pre-order item is ready. 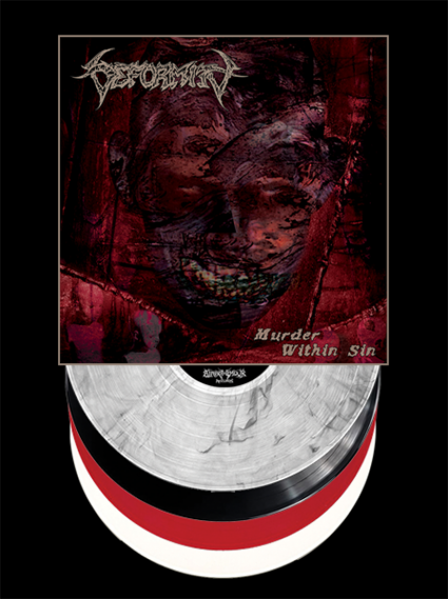 20th Anniversary Edition of the classic H8000 metalcore album "Murder Within Sin" by Deformity. One time pressing of 500 copies on 4 different colors of vinyl. Includes 11x11 full color insert, and download code. Those of you in Europe can save on shipping by purchasing from Ugly and Proud Records.